NuGet Gallery | Packages matching Tags:"htmltopdf"
25 packages returned for Tags:"htmltopdf"
Perfect PDF allows you to convert almost any Razor view into a PDF, quickly and easily! Pass a lambda to the strongly-typed PdfActionResult, and let this little library do the heavy lifting for you! 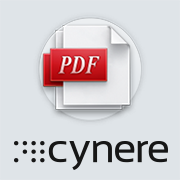 .Net library for converting html to pdf. The package contains html to pdf tool.